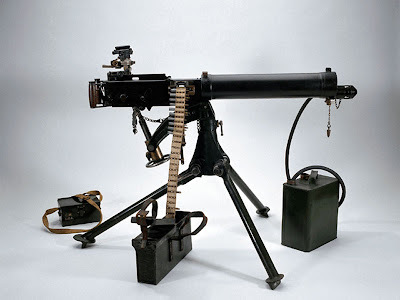 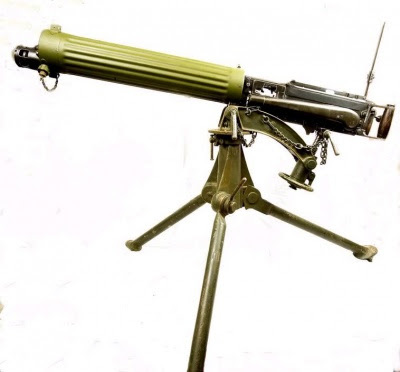 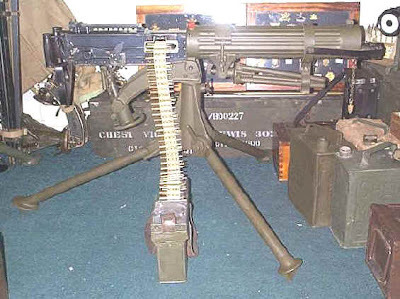 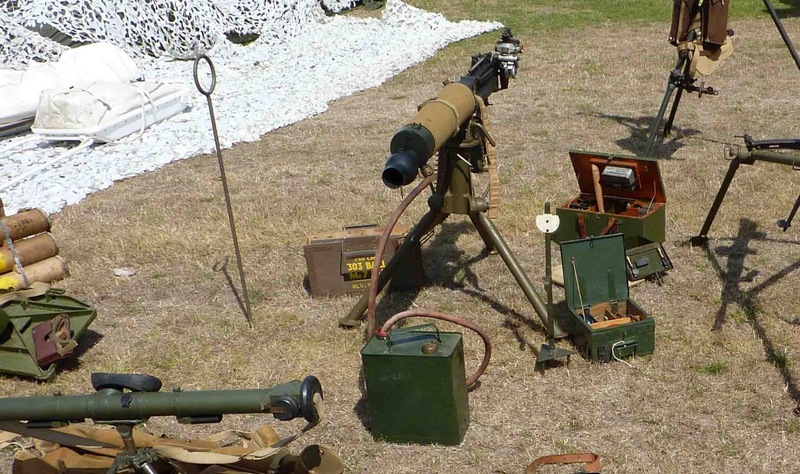 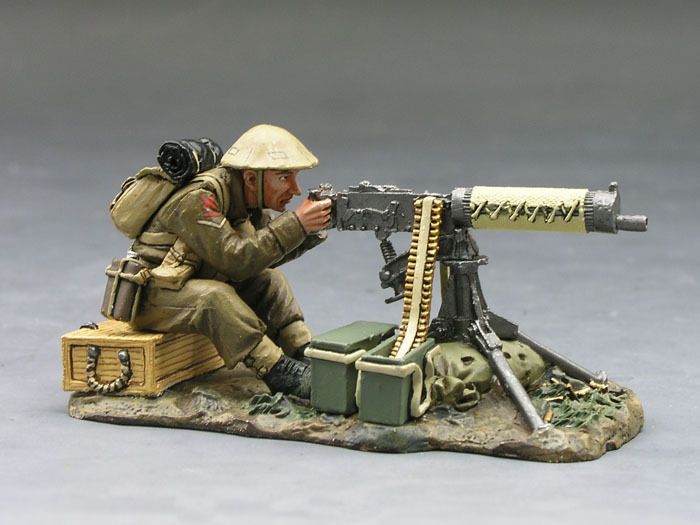 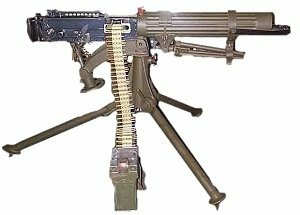 The Vickers machine gun or Vickers gun is a name primarily used to refer to the water-cooled .303 British (7.7 mm) machine gun produced by Vickers Limited, originally for the British Army. 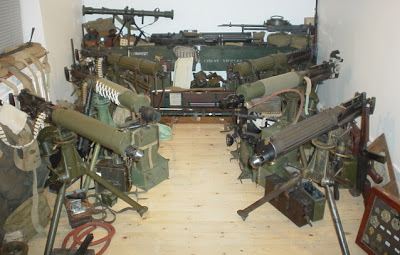 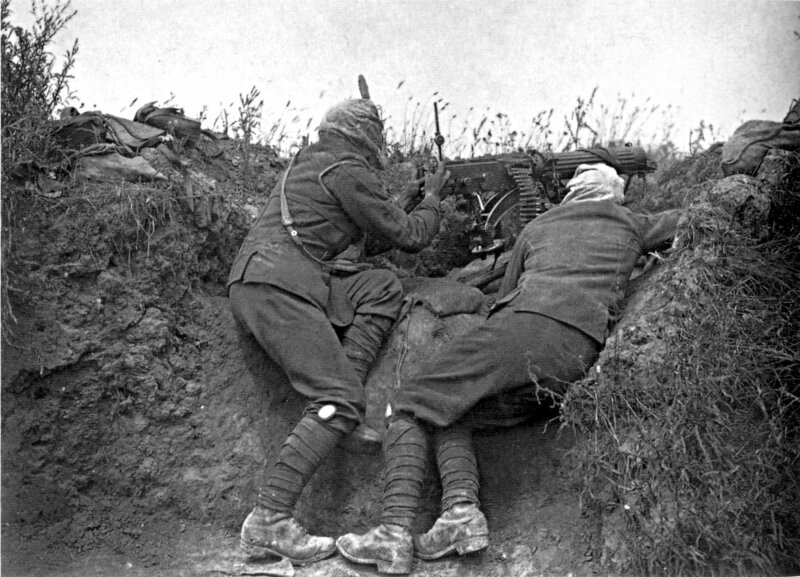 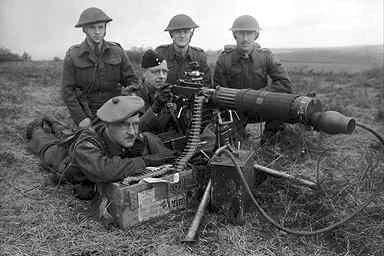 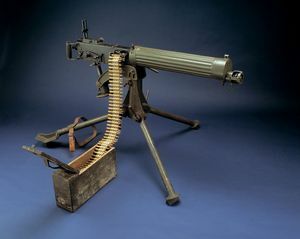 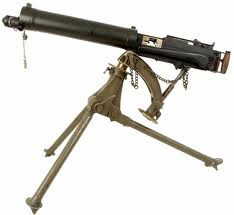 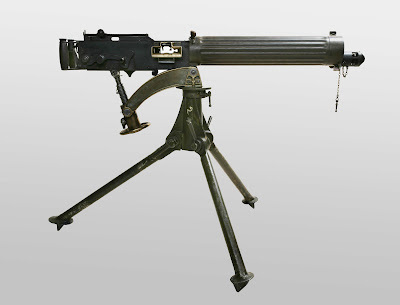 The machine gun typically required a six to eight-man team to operate: one to fire, one to feed the ammunition, the rest to help carry the weapon, its ammunition and spare parts.It served from before the First World War until the 1960s, with air-cooled versions of it serving on World War I aircraft of many of the Allied air forces’ fighters. 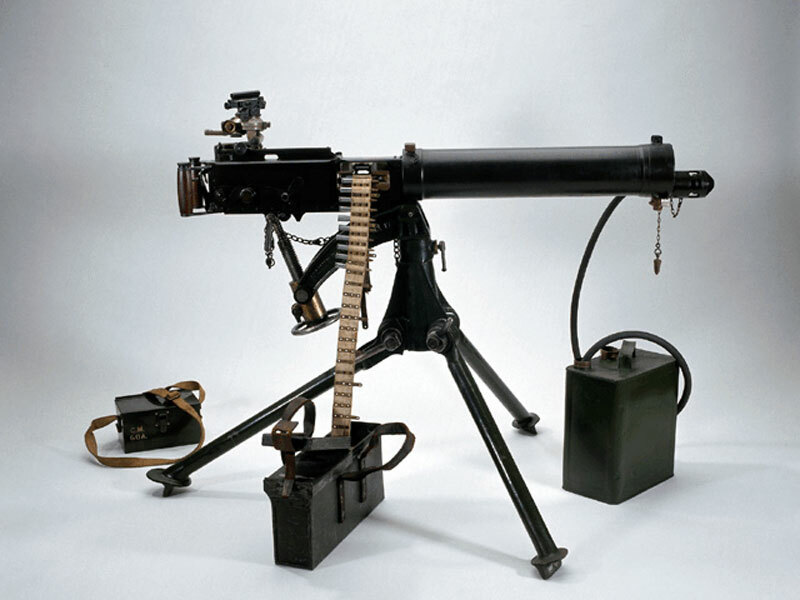 In 1913, a Vickers machine gun was mounted on the experimental Vickers E.F.B.1 biplane, which was probably the world's first purpose-built combat aeroplane. 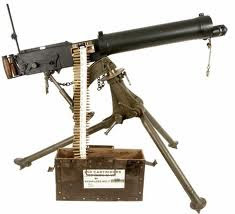 However, by the time the production version, the Vickers F.B.5, had entered service the following year, the armament had been changed to a Lewis gun. 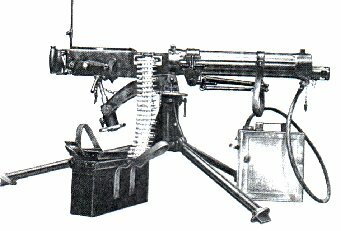 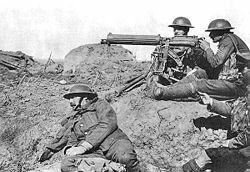 During World War I, the Vickers gun became a standard weapon on British and French military aircraft, especially after 1916. Although heavier than the Lewis, its closed bolt firing cycle made it much easier to synchronize to allow it to fire through aircraft propellers. 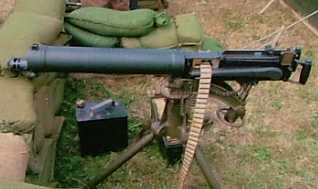 The belt feed was enclosed right up to the gun's feed-way to inhibit effects from wind. 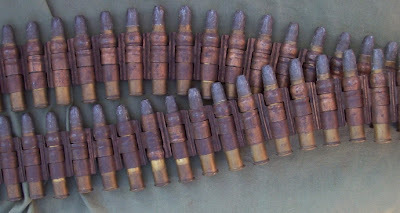 Steel disintegrating-link ammunition belts were perfected in the UK by Prideaux in mid-war and became standard for aircraft guns thereafter. The famous Sopwith Camel and the SPAD XIII types used twin synchronized Vickers, as did most British and French fighters between 1918 and the mid-1930s. 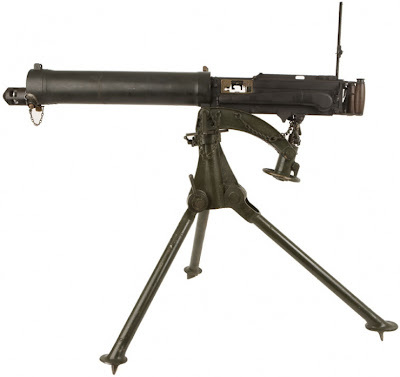 In the air, the weighty water cooling system was redundant, but because the weapon relied on barrel recoil, the (empty) water-holding barrel jacket or casing needed to be retained. 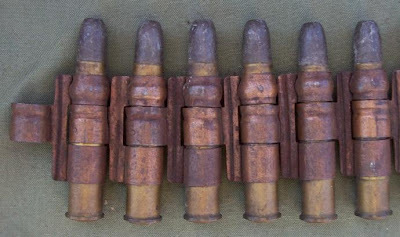 Several sets of louvred slots were cut into the barrel jacket to aid air cooling.